Constructivism represents one of the more recent additions to European integration and political theory. It is based on the premise that, as humans, we do not exist independently from the social situation we find ourselves in. 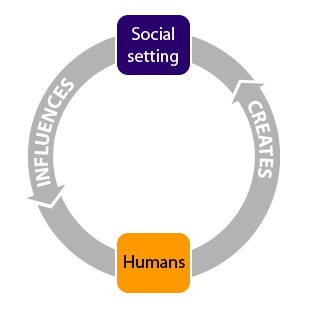 We are both influenced by our social setting and the creator of it. We ‘construct’ our social reality. 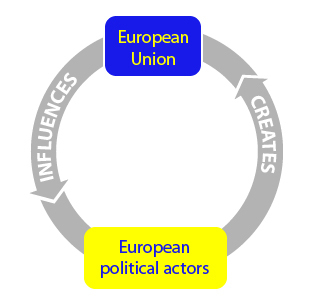 Constructivists argue that the same can be held to be true for the actors within the European Union. While member states created the EU, they are also now influenced by its norms, values and common modes of behaviour. 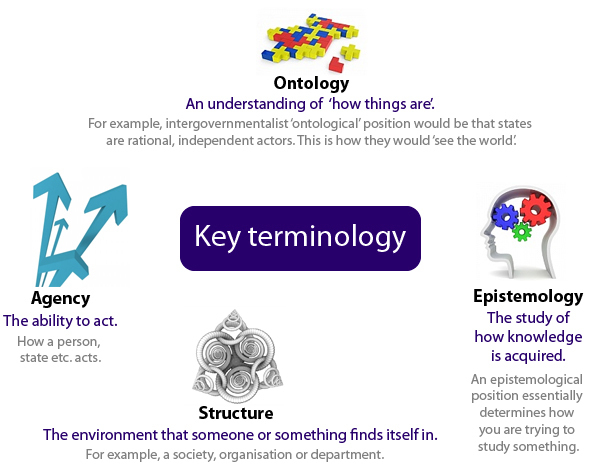 We will look at constructivism in more detail in the following extract, but before we do there is some more advanced (meta-theoretical) terminology you need to be aware of. Now have a look at the extract below for a deeper explanation of constructivism. Notice what is said about the relationship between agents and structures? Does constructivism inherently contradict ‘rational’ theories of EU integration? What is the difference between a ‘logic of appropriateness’ and a ‘logic of consequences’?